After running the Genotype Refinement workflow, several new annotations will be added to the INFO and FORMAT fields of your variants (see below). Note that GQ fields will be updated, and genotype calls may be modified. However, the Phred-scaled genotype likelihoods (PLs) which indicate the original genotype call (the genotype candidate with PL=0) will remain untouched. Any analysis that made use of the PLs will produce the same results as before. Begin with recalibrated variants from VQSR at the end of the germline short variants pipeline. The filters applied by VQSR will be carried through the Genotype Refinement workflow. Especially in the case of de novo mutation detection, analysis can benefit from the functional annotation of variants to restrict variants to exons and surrounding regulatory regions. Funcotator is a new tool that is currently still in development. If you would prefer to use a more mature tool, we recommend you look into SnpEff or Oncotator, but note that these are not GATK tools so we do not provide support for them. 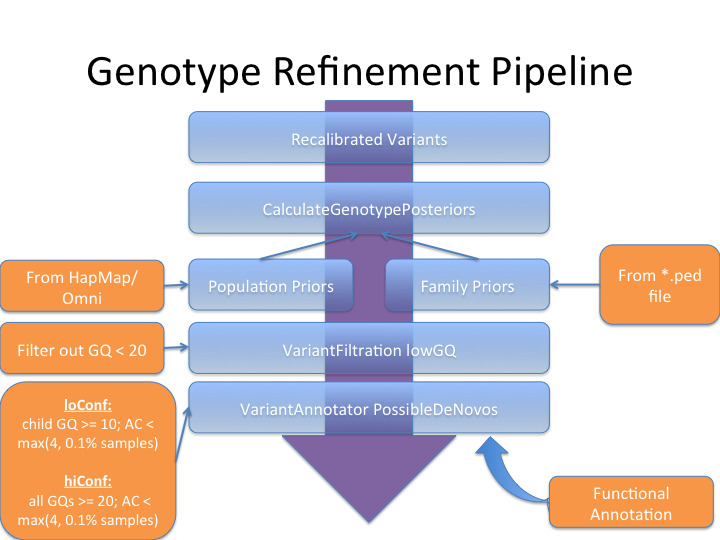 The Genotype Refinement workflow adds several new info- and format-level annotations to each variant. GQ fields will be updated, and genotypes calculated to be highly likely to be incorrect will be changed. The Phred-scaled genotype likelihoods (PLs) carry through the pipeline without being changed. In this way, PLs can be used to derive the original genotypes in cases where sample genotypes were changed. Note that family priors are calculated and applied before population priors. The opposite ordering would result in overly strong population priors because they are applied to the child and parents and then compounded when the trio likelihoods are multiplied together. great and comprehensive howto. Thank You! 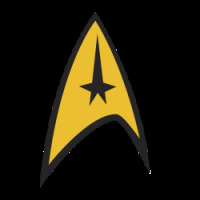 I am just stuck with VariantAnnotator part as I couldn't find commandline guide for that tool in GATK4. What should I do? What kind of pedigree annotation am I missing? Any advixe would be greatly appreciated! You need to provide a PED format pedigree file if you will use family relations to refine genotypes. Article#7696 describes the PED format. I just recently made such a pedigree file myself a week ago to update a GATK Workshop hands-on tutorial and it works fine with CalculateGenotypePosteriors. --pedigree,-ped:File          Pedigree file for determining the population "founders"  Default value: null. I'll look into why the tool doc isn't showing up on the website. We have ped files. And it worked fine for CalculateGenotypePosteriors too. But not with VariantAnnotator. So we downraded to GATK3 with same files on same parameters in order to finish that part - we hope calculations are same. Thanks, @sergey_ko13 for the clarification and for reporting this. I've let the developers know about this seeming bug in VariantAnnotator at https://github.com/broadinstitute/gatk/issues/4987. It's likely they just haven't gotten to wiring this functionality as VariantAnnotator was recently ported to GATK4 and is still in beta. Again, we really appreciate researchers like yourself testing and reporting such inconsistencies. In P(G|D)=P(G)P(D|G)/P(D), HaplotypeCaller use a flat prior for P(G); but here the refinement uses more informative prior, then why HC doesn't use this approach? Seems to me the prior computed from cohort allele frequency is more accurate than the flat one. Supporting external panel. 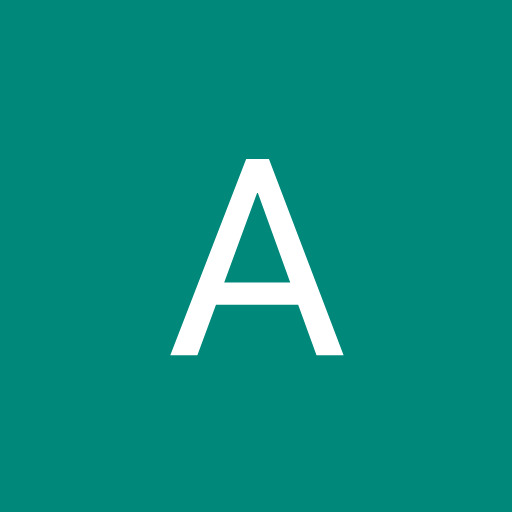 Allele counts from this panel (taken from AC,AN or MLEAC,AN or raw genotypes) will be used to inform the frequency distribution underlying the genotype priors. These files must be VCF 4.2 spec or later. Note that unlike CalculateGenotypePosteriors, HaplotypeCaller only allows one supporting callset. Thanks @shlee ! In joint calling, shouldn't HC automatically use the cohort allele frequencies to compute a prior instead of a flat one? Thanks @shlee ! Seems I don't have the permission to post questions. In the meanwhile, I will let my colleague @KateN, who manages the Vanilla side of things, know. Thanks. clicking of those links took me to a blank page saying "Permission problem". Also, in page https://gatkforums.broadinstitute.org/gatk/discussions/mine, I don't see any option to "Ask the team". I haven't posted any question since Oct. last year. @KateN, as well as a Vanilla forum support specialist, has looked into your account and from your account settings allow you to post like anyone else. Kate is on vacation so I am following up. It's not clear what is going on and perhaps for starters you can switch to a different browser. It may be a security setting issue for your browser for the website. Please let us know if the problem of being unable to post new threads persists. Thanks @shlee ! I posted two questions. 1) Would this be the correct way of going about this? Would this be considered the GATK best practice to identify de novo mutations in human families? 2) I noticed there are other GATK tools to identify de novo mutations (specifically phasebytransmission). The tool I mentioned (PBT) seems to have fewer steps involved than implementing these two workflows. Should I just stick with what is described in these workflows? 3) This may be a dumb question, but both of the workflows I have mentioned talk specifically of germline variant discovery. Obviously this is relevant when talking about de novo mutations but I'm just not sure why these workflows seem to be specific to germline mutations. I apologize, my background is not in biology so I may just have some terms confused here. 4) For the Germline short variant discovery workflow, I assume I should apply this workflow on families at a time, not all of the families at once? In other words, I want to perform joint genotyping on all of the members of a family as a group. I think that's all my questions for now. Just looking for some reassurance that I'm on the wrong track and that I'm not incorporating too many steps to identify the specific type of mutations I'm looking for. Just wanted to tag you here as it seems you've been quite helpful with other questions. Our pre-processing and germline variant discovery Best Practices Workflows should enable you to call variants in your germline samples. They have been the industry standard for germline short variant calling (SNPs and indels <=50bp) for many years now and are used by large population cohort studies ExAc and gnomAD. As for family analyses, you can refer to the 1000 Genomes Project's methods to analyze trios (mother/father/child). It's my impression that the focus in the field is shifting from tabulating shared-population germline variants to accurately detecting rare variants on a per-sample basis, towards solving rare diseases. Part of this shift is to not just call a variant site but to accurately detect alleles (A vs. G) and zygosity (heterozygous vs. homozygous-variant). Thus far, it appears our workflows, e.g. the HaplotypeCaller GVCF workflow, are tailored to and have been used extensively in large population analyses. You ask whether such workflows are appropriate to discover sample-level de novo variants and how to group the families--per family or group everyone. If you have the power of a family cohort, then variants that are shared between family members will have great resolution. As for de novo variants, given ample read support, GATK should enable calling these as well. Here are some points to consider. So it appears that to enable sensitive detection of de novo variants that may only present in single samples, you should relax this prior with the --DeNovoPrior parameter. GATK also offers a Genotype Refinement workflow that uses CalculateGenotypePosteriors to refine genotype calls in a family callset. The PossibleDeNovo annotation should interest you and it appears it is part of the Genotype Refinement Workflow. HaplotypeCaller/GenotypeGVCFs has a new qual model that we recommend that is not yet the default. It will help increase sensitivity for your case. Finally, be sure to search the forum for related threads. For example, this thread seems pertinent. Just some additional comments @aschoenr, from having thought about your question overnight, which is more than the few minutes I had spent yesterday at the end of the day. I think the metric that is important to you is the depth per allele and the sensitivity of your caller to that depth. Also, we must consider the nature of the de novo germline variants that arise each generation and whether you are interested in all or a subset of these. If your data presents low depth per allele for whatever reason, then the alternative to HaplotypeCaller/GenotypeGVCFs calling is (i) HaplotypeCaller per-sample GVCF calling (some folks in the field use this towards somatic calling) and (ii) Mutect2 calling. And here is a question to consider. Do you need to resolve those variations that occur in low complexity regions, e.g. homopolymer runs, or repetitive sequence, e.g. alpha satellites? Because no conventional germline caller out there can really resolve these. You would have to use specialized tools such as lobSTR to profile short tandem repeats (STRs). Not only do these types of regions present challenges in sequencing, but by their nature, they are prone to polymerase slippage and mutation within the cell as well. Even if you are uninterested in such types of variation, these will show up in your callset as differences between samples and present as many false positive callse. To filter such types of variation, the Mutect2 workflow allows for the filtering of sites in a Mutect2 panel of normals (PoN). Within this workflow, the PoN's primary purpose is to collect systematic artifacts of sequencing, including those that arise from low complexity and repetitive sequence regions, that are common but do not necessarily manifest for every sample. Here is another question. Some rare variants present as structural, e.g. copy number variation. I think you might be interested in our germline CNV (gCNV) calling pipeline, which is still in beta release. The GATK4 gCNV workflow will call both common and rare copy number variants, given a proper panel of normals. Since your aim is to find variants that are different between family members, you should be able to use the family samples for the cohort panel. There is no forum tutorial on this workflow yet. I have been working on the tutorial but the forum has been inundated with questions and, well, see here about the time-pie constant. Wow @shlee thanks so much for all of your input. Just for the record, I seem to have an average coverage of 30-35X, would you consider this to be high depth? I also plan on filtering calls in low complexity regions, specifically segmental duplications, simple repeats and those identified by repeatmasker. 8 - Genotype refinement workflow, where pedegree information is used and de novos are annotated using VariantAnnotator. Steps 1-3 are basically the GATK pre-processing pipeline, step 4 does not need to be done and steps 5-7 are basically the Germline short variant discovery workflow. At this point I would have analysis ready VCFs for all of my families. I was planning on doing step 5 (Haplotypecaller) on each sample individually and then doing joint genotyping on the families. After this discussion and a discussion with a colleague of mine I think I may swap out step 8 (Genotype refinement workflow) for PhaseByTransmission. I am interested strictly in de novo mutations so I think the Genotype refinement workflow may be overkill. The nice thing about all of these approaches is that my pipeline up until step 8 can be used for either the Genotype refinement workflow or PhaseByTransmission, so if PBT doesn't work out I can always revert to the GATK workflow. Does this seem reasonable to you? The only reason I leaned toward the Genotype refinement workflow was because of @Sheila's first response. I also wanted to note that I can only guess how busy you are and I really appreciate your help! First, I think you might find this thread and the poster linked therein of interest. I believe 30-35X high complexity sequences, as would result from PCR-free sample prep, is generally considered sufficient for calling short variants (SNP and indel) in high confidence regions. I would follow @Sheila's recommendation. She was our full-time front-line support specialist and therefore more aware of all the goings-ons. For example, it seems PhasByTransmission is only available in GATK3, as porting it to GATK4 has been given low priority. Let us know if this tool is vital to your research and we can request it be bumped in priority. Yes, the Communications team is busy these days gearing up for ASHG. You are welcome. It is our pleasure to enable science. I had a question regarding CalculateGenotypePosteriors caller, is it possible to generate a vcf.gz (zipped VCF) file as output instead of the .vcf that it is generating? If so what option can one use? Thanks! All you have to do is specify a .vcf.gz extension in the output name and the tool will block compress the callset automatically. I tried that, it didn't work last time with GATK 4.0 , let me try again. Last I checked with v4.0.11.0, CalculateGenotypePosteriors does successfully output a block-compressed .vcf.gz file. Note this is a different type of compression than the .zip file type. The former allows indexed access. To better help you figure out what is going on, can you please provide the command you are using and explain how you have concluded the output is not in zipped format? For example, do downstream tools produce an error when given the output of CalculateGenotypePosteriors? [December 14, 2018 5:03:57 PM UTC] org.broadinstitute.hellbender.tools.walkers.filters.VariantFiltration done. Elapsed time: 0.01 minutes. overall launching time of tool run, (commands are [bash, ./VariantFiltration.sh, /mnt/task/01f18da8-592b-4348-8f1e-af3b2ff43524/Test_trio_calcgp.vcf.gz, /mnt/task/01f18da8-592b-4348-8f1e-af3b2ff43524/Test_filter_GT.vcf.gz, lowGQ, GENOTYPE]): 3 sec. @artitandon, I vaguely recall some bug with gzipping VCFs in earlier releases of GATK where some tools could only output VCF format and not VCF.GZ. Can you try with the latest v4.0.11.0 and see if that solves the error? 2) /gatk VariantFiltration -V out_calcgp.vcf -O out_filter.vcf.gz --genotype-filter-expression "GQ<20.0" --genotype-filter-name "lowGQ"
I don't know how to fix this features error, any help with this will be appreciated. @artitandon, sounds like an issue with sorting or with the index. Can you check that the input and output VCFs have indices and validate with ValidateVariants? I would try to address any issues ValidateVariants brings up, try sorting with SortVcf, and finally, try regenerating indices by deleting existing ones then reindexing with IndexFeatureFile. If these do not work, as I suggested above, can you see if the latest version of GATK4, currently v4.0.11.0, recapitulates the error? If it does, we'll need some of your data to figure out what may be going on. As a side note, in GATK4 CalculateGenotypePosteriors doesn't require the reference anymore. Correction, the latest release is v4.0.12.0! Thanks Shlee, I used SortVCF and that works! I had another question regarding running germline workflow for a proband only, what is the recommended steps post CalculateGenotypePosterior? Recommendations post genotype refinement are context-based annotation with VariantAnnotator (link is to GATK3 tooldoc) and/or functional annotation with Funcotator. Assuming your sequencing tech, toolchain and data allow for detection of the genotype of interest, then the latter should enable filtering for functionally significant short SNP and indel variants. Otherwise, you may be interested in GATK4's gCNV workflow for detecting both common and rare germline CNV events in your proband against a panel of normals (PoN). If you are only interested in rare germline CNV events, say de novo events not present in the rest of the family, e.g. parents, then be sure to include the parental samples in the cohort-mode analysis. HI Shlee, Thanks for the response! in absence of parental data can I use VariantAnnotator, as far as I can see it requires a ped file, and detects de novo variants.